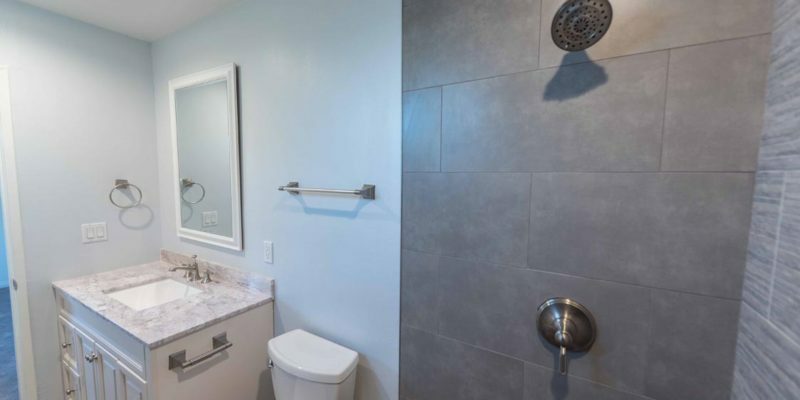 You probably have a lot of great bathroom remodeling ideas already if you are considering a bathroom remodel in Studio City. H&A My Design bathroom remodeling designers pull those ideas together to give you a complete design that will be the envy of the neighborhood. Our designers will overwhelm you with great design detail and bring it all into focus. Thinking about bathroom remodeling in Studio City is the first step to getting started. Call H&A My Design. We’ll show you how bathroom remodeling has boomed over recent years and it’s grown so much, the options are endless. While getting a new design for a remodel of your bathroom, changing the floor plan can make sense especially if you don’t like it now. If the first thing people see in your bathroom is the toilet, most people want to change that. We can redesign your floor plan thoughtfully. It needs to be considered at the start of the design process because what don’t you like right now, if it’s not changed won’t get any better even if it looks pretty. When reworking the floor plan, bathroom vanities, toilets, tubs, and sinks need to be moved during the renovation. The whole space will need carpentry and flooring. Plumbing and electrical work is done during the installation of the new bath or vanities. The luxury bath, shower, spa-tub, and vanity you decide on will be situated perfectly according to the design you decide on. What matters is what works the best for you. During the designing, we get the floor plan perfect and we’ll map your new fixture positions into it together. Your bathroom remodeling in Studio City is going to be perfect because it is your ideas that matter. H&A My Design is an industry expert that make the most out of all the floor space in your bathroom design. We design your Studio City bathroom remodeling completely and we won’t make the storage a postscript. Let’s choose the perfect vanity, sink, and hardware to make your design fabulous. With our capability you can adapt them or we can custom build anything according to your concept. Designing perfect bathroom remodel in Studio City makes use of focal points. When you walk into the newly remodeled bathroom you’re absorbed by the beauty and luxury. H&A My Design blends the design of your bathroom remodeling with the decor of your home. We do this while we take care of luxury in your bath decor. We take a lot of pride that everything carries the design you wanted for your bathroom remodeling. Your Studio City bathroom will be turned into a relaxing luxury spa with designs and colors by H&A My Design. Everything reflects your tastes and lifestyles. Your bathroom remodel becomes a masterpiece in the hands of our designers. Call us today, let’s talk about adding lavishness. Let’s talk about adding cutting edge blue-tooth technology in your bathroom remodeling. Think about all the potential! From sound systems to blue-tooth, there’s no limit with today’s technology. Two-stage flush toilets and water-conserving fixtures that are in style across Europe are leading the way for green construction. Studio City leads the way in environmentally sound construction and you can be part of it. Homeowners do this by hiring a green contractor like H&A My Design. For your bathroom remodeling in Studio City, call H&A My Design.